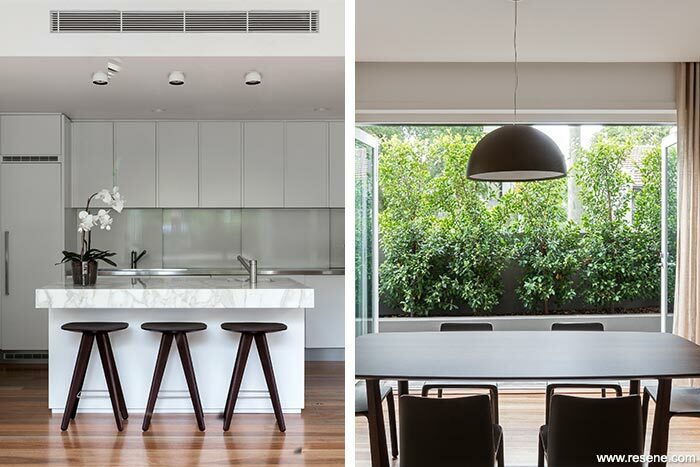 The renovation of this corner terrace in Paddington includes the addition of an entire storey to the front terrace form, new balconies, roof terrace, mud room and bike store. All three levels were re-planned to provide comfortable accommodation for a family of four. The new third level comprises an additional bedroom with a second living room opening onto the roof terrace and BBQ area. 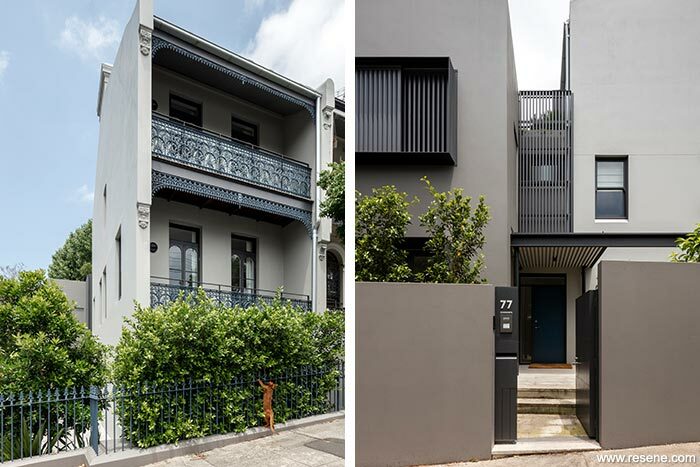 By increasing the height of the terrace, employing traditional materials and detail to match the neighbours, the traditional building form has become the dominant element in the streetscape, consistent with the objectives of the Paddington DCP. 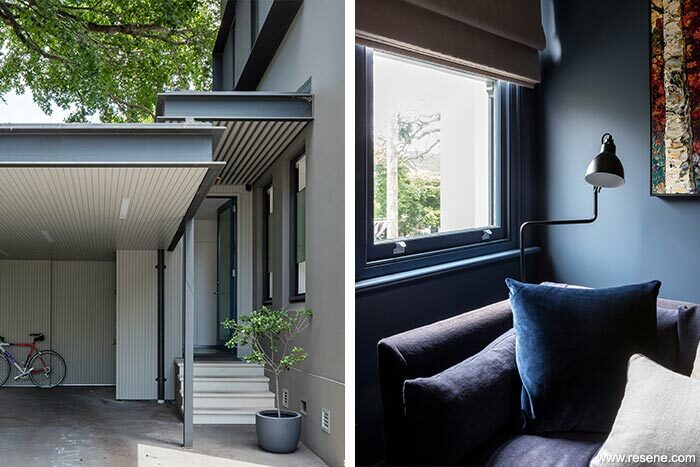 The rear building has contemporary detail; steel cowls with sliding timber screens provide privacy and shade. A vertical timber screen over the awning to the main entry extends between the two buildings. The external colour scheme was selected to further distinguish the contemporary and the traditional building. The traditional uses lighter hues with accent colour, with a focus on Resene Half Taupe Grey (light grey), and the contemporary uses darker hues with a neutral palette, with a focus on Resene Half Masala (greyed brown). Resene X-200 weathertight membrane was used for all external masonry combining protection with a low sheen finish. 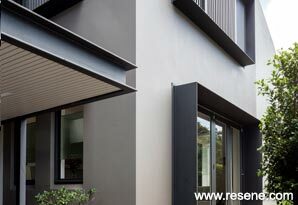 Resene Fuscous Grey (charcoal grey) is used across both buildings for the window trim and timber screens. External timber was finished in Resene Lustacryl CoolColour semi-gloss waterborne enamel to enable the dark colour to reflect more heat. The internal colour scheme was white. Resene Double Alabaster (grey white) was chosen for all walls, ceilings, trim and joinery, with the use of a single deep blue, Resene Avalanche (deep blue), feature colour for the front door, the study walls, ceiling and trim and a large scale sliding door between the walk in robe and the ensuite. 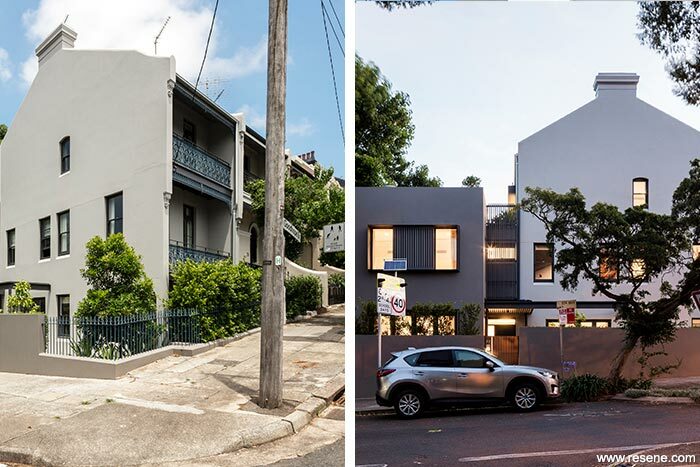 The Paddington Corner Terrace – hungerford + edmunds architects won the Resene Total Colour Neutral Colour Maestro Award 2016. The judges thought: “Inside and out this home is a very sophisticated project that is well thought through. 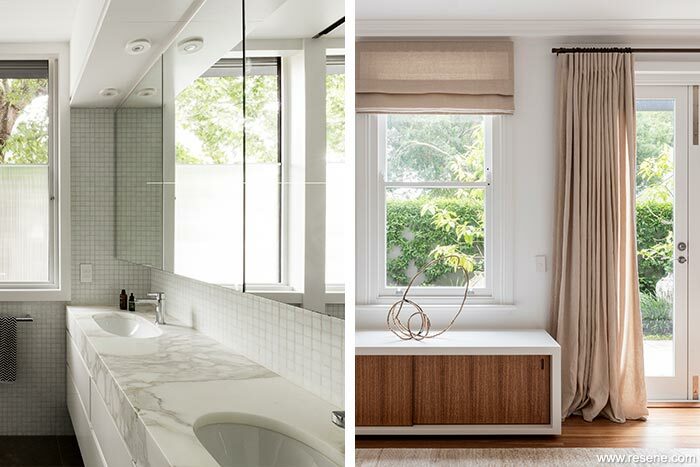 Warm neutrals outside transfer to a softer cleaner interior aesthetic. It’s a lovely transference of colour where both the public face and the private face of the home complement each other. 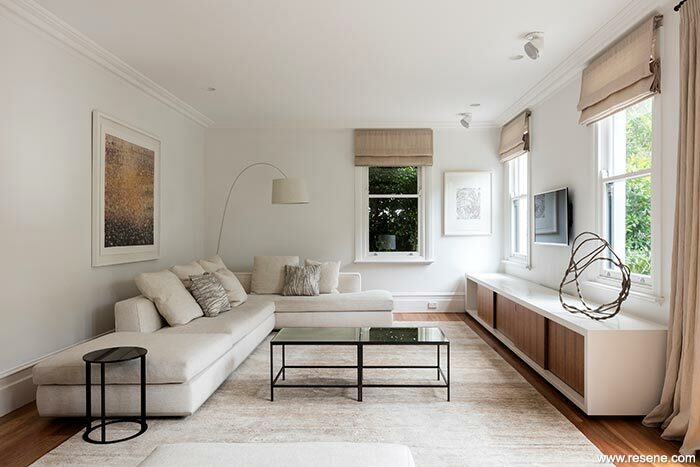 Relaxing, restful, yet still stylish with a subtle neutral colour palette. From the paint colours to the furnishings and accessorising, all elements come together for a relaxing and peaceful home that’s easy to live in and easy to visit.